The tiara was made by E. Wolff & Co. on a commission from Garrard. Wolff & Co. also made several other major tiaras for the family, including the Cambridge Lover’s Knot, the Girls of Great Britain and Ireland, and the Connaught Diamond (now a part of the Bernadotte collection in Sweden). The original version of the honeysuckle tiara, completed in early 1914, featured a taller central element; Mary later had it shortened to its current iteration. The tiara also used some recycled royal diamonds, taken from the County of Surrey Tiara, which had been dismantled (and also used in the remodeling of the GGB&I Tiara). The tiara has been an adaptable piece from the start, as the central element of the tiara is able to accommodate several different stones. Originally, it was designed to fit three different pieces: the Cullinan V diamond, a sapphire and diamond ornament, and a diamond element featuring a pink stone. That pink gemstone has been called a pink topaz, but it seems actually to be a kunzite, a stone that had been discovered only a decade before the tiara was made. The Cullinan V, the sapphire, and the kunzite stayed with Mary, while the new diamond honeysuckle piece was given to Alice along with the tiara. In 1953, Alice inherited the kunzite element following Mary’s death. Exactly where the current third option, an emerald and diamond piece, comes into the picture is unclear, but those three — the honeysuckle, the kunzite, and the emerald — are the ones that remain with the tiara today. 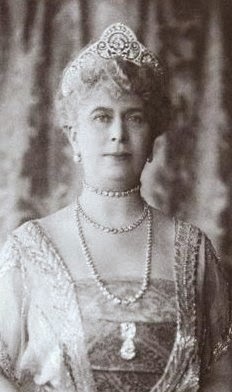 Princess Alice eventually gave the tiara to her own daughter-in-law, Birgitte (the current Duchess of Gloucester), who has worn the sparkler in all of its forms for a number of years. Having the central element as a convertible piece is especially useful because it means the tiara can be coordinated with different colors of gala dresses; if you’re worried that your kunzite tiara will clash with your red gown, you can always swap it out. I do love when a tiara pulls its weight! And apparently, so does Birgitte. Even though she's a bit spoiled for choice, with six tiaras (yes, six!) in her collection , the honeysuckle is the piece that she's photographed in most often . 1. Image in the public domain due to age; source here. 2. Cropped version of an image in the public domain due to age; source here. 3. 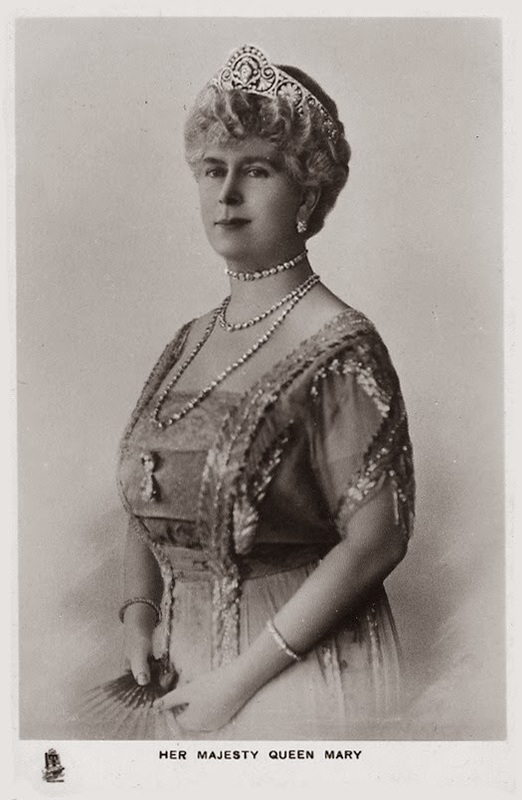 Because I know someone will ask, the six tiaras owned by the Duke and Duchess of Gloucester are: Queen Mary's honeysuckle tiara, Princess Marie Louise's Indian-inspired Cartier tiara, Queen Mary's Iveagh tiara, Queen Mary's turquoise tiara, Princess Alice's emerald and diamond tiara, and the all-diamond tiara last seen as a bridal tiara on the Countess of Ulster. 4. A version of this post originally appeared at A Tiara a Day in August 2013.